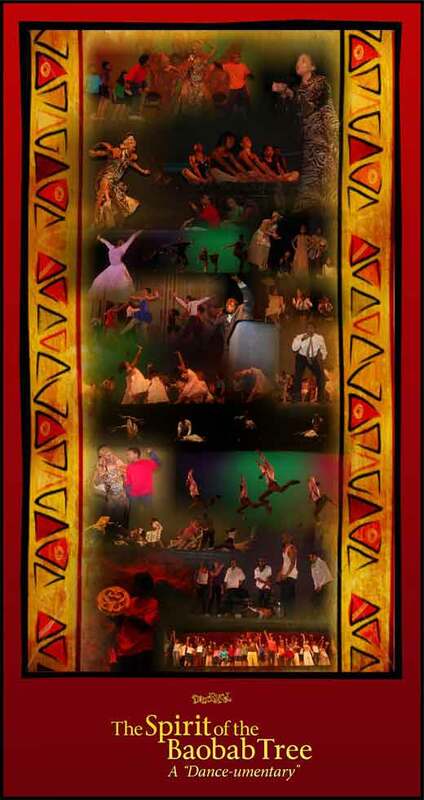 The Spirit of the Baobab Tree (Xlibris Corp., 2008) is a picture book whose story started life as a full-scale dance production in 2007 created by the book’s authors, Dionne Champion and Sherice Grant, both directors of DancExcel, Champion Center for Creative Arts Education in Gary, Indiana. Since 2007, the ‘dance-umentary’, as they describe it, has provided a deeply empathetic route (or perhaps that should be root…) towards learning about the civil rights movement and its relevance today for the hundreds of young people who have been involved in its production and the thousands more who have watched it. Dionne’s background is in engineering as well as dance, and she combined these two seemingly disparate interests in study of the connections between motor skills and cognitive development. She earned a Masters in Dance Education, through which she honed her unique approach to teaching dance as a supplement to the learning process, and has since taught dance in schools and community projects as well as DancExcel. Dionne founded DancExcel ‘as an aggressive arts education program that exposes children to the arts in a way that helps them develop life skills and achieve academic success.’ She is currently pursuing a PhD in Learning Sciences at the School of Education and Social Policy at Northwestern University (Illinois). As well as being a dance teacher and choreographer, co-author Sherice has written/directed screenplays and commercials and is a poet. She is currently in the process of putting together a collection of her poems. 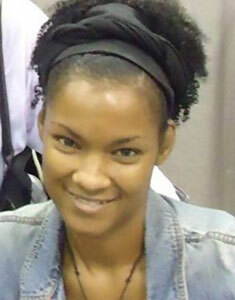 The Spirit of the Baobab Tree is illustrated by graphic designer and illustrator Daryl Champion, Dionne’s brother. 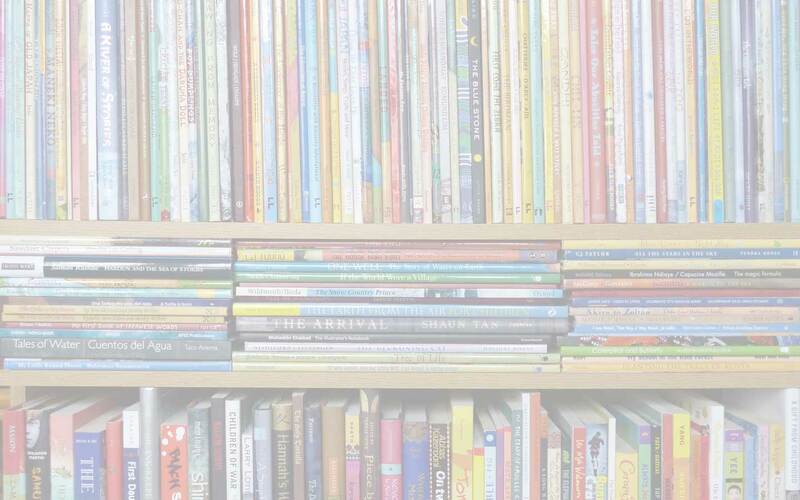 I am always interested in how performance and children’s books interact and so I am grateful to Dionne for writing this article for MWD. Dionne talks first about the book and the dance show of The Spirit of the Baobab Tree, and then tells us about the folklore of the baobab tree that was the inspiration behind the story. Welcome and thank you, Dionne. The Spirit of the Baobab Tree is a story about a nine-year-old boy called Jelani who turns to drawing as a means to cope with being snatched out of his home and involuntarily placed in a foster family. Although Jelani doesn’t really like school, he manages to still go every day, tolerating the mean behaviors of his classmates. The children in his class don’t seem to care anything about learning, until one day a magical storyteller appears from the pages of Jelani’s sketchbook to tell them a story of their past. As she leads them on a historical journey through time, Jelani uncovers the truth behind his drawings, and he and his classmates experience first hand how their ancestors lived and what their social, economic, political, and cultural life was like, exploring the hardships of the Middle Passage, slavery, the civil rights movement, and their place in American history. Drawing on the past experiences of his ancestors, Jelani finds the strength he needs to overcome his own obstacles, and he and his classmates develop a new sense of pride about their past, present and future. 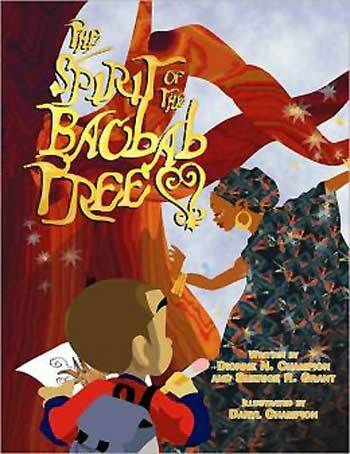 First performed as a full-scale dance production, The Spirit of the Baobab Tree traces the roots of African people in America and deals with the evolution of African American history and culture. The production includes various styles of dance, live music and monologues that address issues and perspectives during some of the most significant periods in our history. This story teaches some important lessons to readers and audiences of all ages and levels of experience, as it portrays a mythical journey through time based on factual moments of African and African American history. Sherice and I researched over 500 years of historic events in West African and American culture to provide context and historical foundation for the events of “Baobab Tree.” The story comes together to show how fear, struggle and self-doubt are manifested through many different periods over time, and illustrates the point that getting through the struggles of the present is closely linked to understanding the struggles of the past. The book’s unique artwork brings the story to life on the page. My brother, artist Daryl Champion, the book’s illustrator, created the look of the characters and backgrounds using freehand computer graphics instead of pencil, ink or paint to give the book the same kind of feel that the show has for audiences. He based his illustrations directly on the personalities of the performers in the show, helping to keep the book in line with the dance performance. 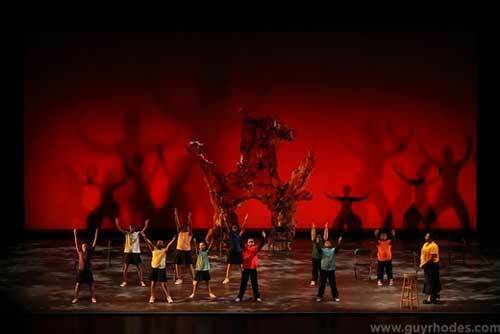 The Spirit of the Baobab Tree is a story that has been enjoyed by tens of thousands of children on stage and page. 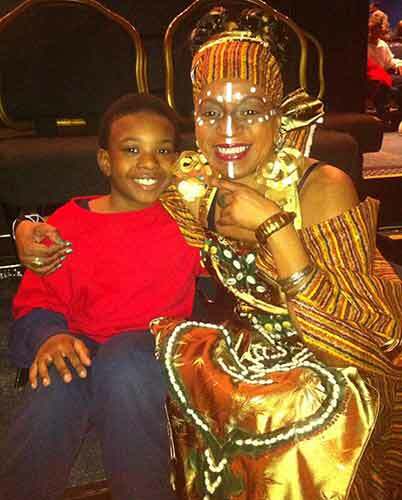 In the story, Iyabo, the magic storyteller, uses the Baobab tree to teach Jelani and his classmates about their past. She explains to the children that the tree holds the spirits of their African ancestors who watch over them to guide and protect them. She uses the tree as a magical transporter that takes Jelani and his class back through history. In real life, the baobab tree is a very special tree in Africa. The baobab tree is sacred to many African people. It has provided for them in many ways. They can get timber from it, fiber to make fishing nets, cords, sacks, and clothing. The bark can be ground into powder to flavor food. The leaves are used as a vegetable; the fruit and seeds are also edible. The pulp of the fruit can be made into a drink that tastes like lemonade. Other things like soap, necklaces, glue, rubber, medicine and cloth can be made from different parts of the baobab tree. This great tree has also been used as shelter; the great trunk of the tree can be hollowed out and used to store grain, or as a reservoir for water. The hollowed out trunks have also served as burial sites. The bodies of certain important individuals are placed in the hollowed out trunk of the baobab to symbolize the communion between the vital forces of the plant gods and the body of the departed. The baobab tree has also served as a meeting place for many villages to discuss community matters, relate the news of the day, or to tell stories. This is a protected tree in Africa and is said to be the “Tree of Life” by many cultures on the African continent. Senegal has chosen this tree as its national symbol. Its ability to survive for long periods of time without water, its usefulness and its extremely long life make it a sacred tree in some cultures. Alternatively, the baobab is called Mother by African people who know her. People come to the tree to gather honey, to pick fruit, to strip the bark for baskets and rope and to use the roots for medicine. In times of drought, the tree has been uprooted for its source of water. Baobabs are very difficult to kill; they can be burnt or stripped of their bark and carry on growing. These trees have been known to live for thousands of years. When they do die they simply rot from the inside and suddenly collapse, leaving a heap of fibers, which makes many people think that they have magic… that they don’t die at all… they simply disappear. …and read about their recent television appearance. 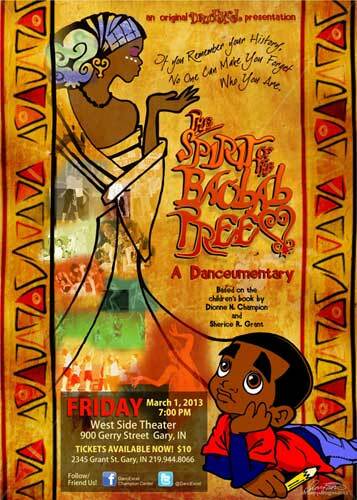 children's books about the civil rights movement, DanceExcel, Daryl Champion, Dionne Champion, performance linked with children's book, Sherice Grant, The Spirit of the Baobab Tree. Bookmark. I wish this book had been available when my kids were little! I homeschooled them and this would have been a great resource to use. I love that she integrates dance and learning. Movement is so important in learning, yet schools require kids to sit at a desk all day….makes sense, right? Thank you for sharing this book! I agree, Christy – I think it’s a wonderful way for kids to engage with their learning! Yes, I would love to see it too. Maybe one day! This story is so profound! Love the folklore behind it, too! Thanks for sharing. Stopping by from the Kid Lit Blog Hop. I love the interweaving of the folklore too – and the thread of continuity that the baobab tree gives to the span of history. This looks amazing! I love the story behind all of it, and being inspired with folklore makes it even better. This is a joy to discover. Thanks for sharing! I was so excited to be able to feature Dionne and her amazing project – I’m glad it’s enthused you too, Tonja!